Nicholas was called to the Bar in 1996 after graduating from Trinity College, Cambridge. He has represented a number of well-known celebrities, FTSE 100 CEOs and others in the public eye. 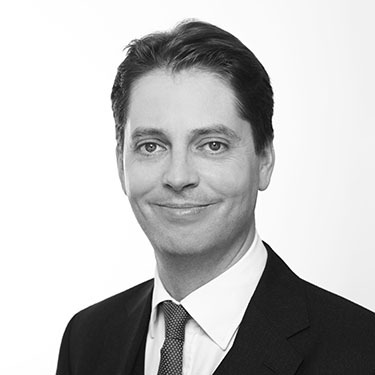 Nicholas specialises in financial remedy cases (including Civil Partnership and Schedule 1 claims) involving substantial assets, complex company valuations, trusts, tax issues and international dimensions. He also drafts nuptial agreements and advises on their enforceability, as well as representing clients on jurisdiction matters, marriage/non-marriage cases and Inheritance Act claims. He is one of the few members of the family bar to have won a second-tier appeal to the Court of Appeal in a financial case within the first three years of practice. Nicholas is highly regarded by the professionals with whom he works and is quick to establish a solid rapport with his clients to achieve their goals in a straightforward, timely and cost-efficient way. He is also well-known for his negotiation skills and the quality of his written and oral arguments, as well the numeracy within his financial presentations. His international practice has included work in Jersey, France and Macau. Application by wife under Part III. Her husband’s assets were worth over £100m. The main issues were the value of the worldwide assets, the extent of husband’s non-disclosure, the drawing of adverse inferences against him and whether the wife could obtain a 50/50 sharing outcome under Part III (as opposed to under the MCA 1973). The wife did get a sharing outcome of c.£63m – the largest award yet under Part III. Application by a wife under Part III of the 1984 Act following a consent order having been entered into in Russia some years beforehand, since which time husband’s financial resources had increased. Application by a mother under Schedule 1 of the Children Act 1989 after receipt by her of a financial award (as wife) in Australia. Issues of ‘strike out’ under Schedule 1, res judicata and issue estoppel, as well as legal service payment orders in Children Act proceedings. Permission to appeal against the refusal of leave (by a High Court Judge) for a wife to apply for financial provision under Part III of the Matrimonial and Family Proceedings Act 1984 (financial provision following a foreign divorce). This case was reported in most of the daily newspapers (see e.g. The Times 19.04.16 – see attached PDF). Setting aside of a financial remedy consent order on the basis of wife’s non-disclosure. The wife failed to notify the husband and the court of an important investment in her company about which they should have been told prior to the settlement. The non-disclosure was not deliberate, but it was material. The consent order was set aside. Jurisdiction race between Malaysia and England; wife won founded jurisdiction in England; wife successfully defended husband’s appeal to the Court of Appeal. Interim maintenance and legal services order of £1.32m per annum. Final financial remedy hearing; assets of over £200m. Short-term interim maintenance award; jurisdiction and foreign law. Division of current and future resources from Private Equity funds; which party should get which property, including a castle. High net-worth assets. Financial remedies; premarital wealth; whether family settlements constituted ‘financial arrangements’ for purposes of the Matrimonial Causes Act 1973. Material disclosure and the setting aside of consent orders. Financial relief; Mesher orders and the interaction of jurisdiction between the courts and the Child Support Agency. "Nicholas has exceptional skill in financial proceedings, and shows great attention to detail." "He is incredible on his feet." “He's astonishingly good; he thinks in a very interesting way and very strategically. He slots right into a team and gets some incredible results." "Nicholas’ creative thinking and beguiling advocacy are impressive." Nicholas is married with three daughters and is also a semi-professional singer and keen amateur cyclist, often to be found on his way up Mont Ventoux (on one occasion, twice in one day) or other past stages of Tour de France.